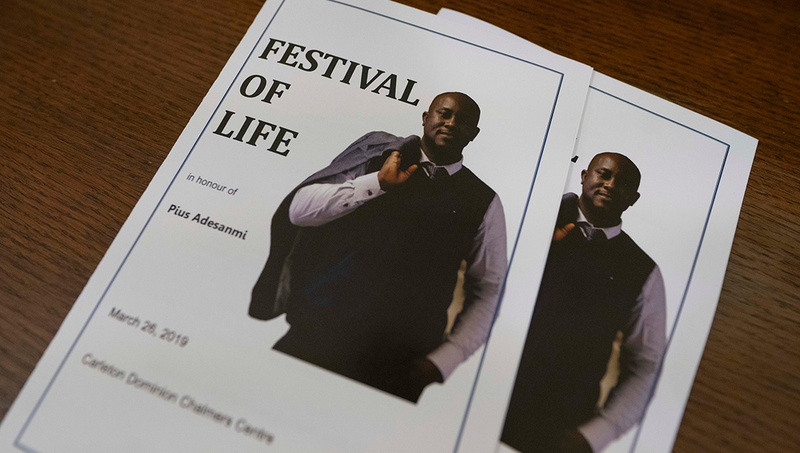 Carleton University’s Pius Adesanmi was not speaking of himself when he wrote those words in his book, You’re Not a Country, Africa, but they nevertheless hung poignantly in the air at a festival of his life held March 26, 2019 at Carleton Dominion Chalmers Centre. 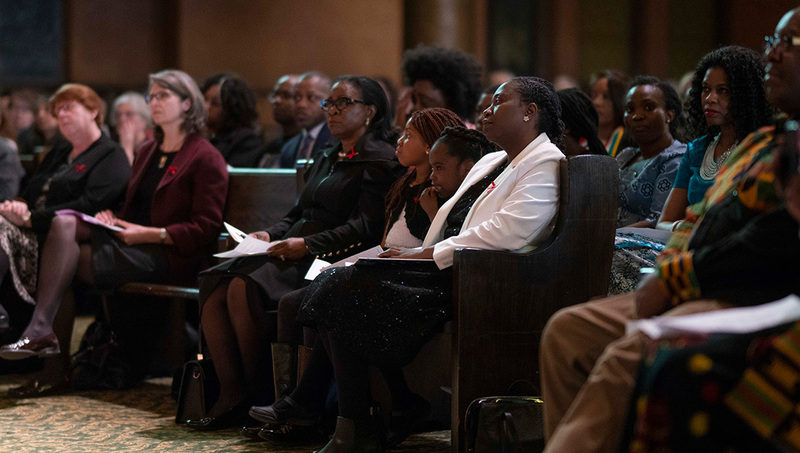 They had been spoken by Kagiso Lesego Molope, a graduate student and author who was among many who gathered to celebrate Pius Adesanmi, who died in the crash of Ethiopian Airlines Flight 302 in Addis Ababa on March 10. 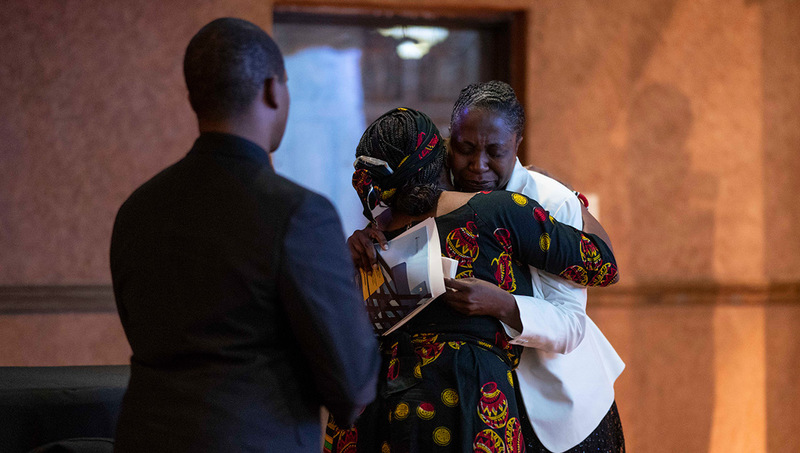 She thanked Adesanmi for the way he had made her – and other African students — feel celebrated through his role as director of Carleton’s Institute of African Studies. With Adesanmi’s passing, the university lost a literary critic, satirist, public intellectual, who won a Penguin Prize for African Writing. But the university community lost so much more than that. 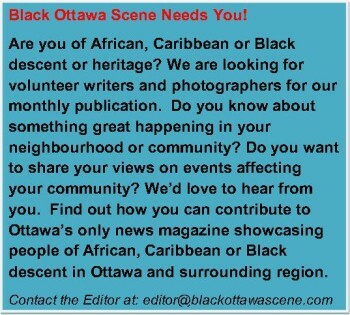 Adesanmi was remembered as a mentor to his students, a friend to his colleagues, a pillar of Ottawa’s African community, and a loving father and husband. 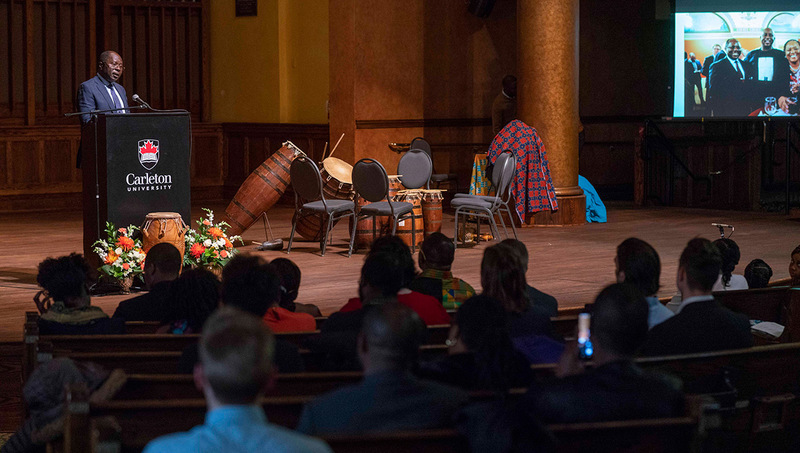 Family, friends, Carleton faculty and members of Ottawa’s African diplomatic community praised Adesanmi through tributes, poetry, drumming, and singing. But most of all, they celebrated the way Adesanmi brought people together. “Nelson Mandela’s words were true,” said Ambassador Dlamini Mntambo, South Africa High Commissioner. Born in Nigeria in 1972, Adesanmi completed his Bachelor of Arts at the University of Ilorin, and Master of Arts at the University of Ibadan, both in Nigeria. 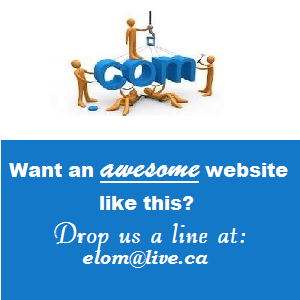 He came to Canada for his PhD in French Studies, graduating from the University of British Columbia in 2002. Pius Adesanmi joined Carleton in 2006, and Faculty of Public Affairs Dean André Plourde likened his larger-than-life presence to that of a Baobab tree. 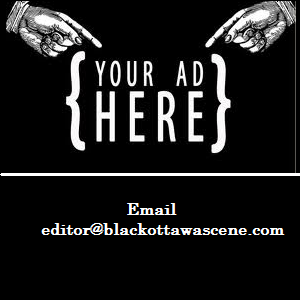 “The baobab tree rises majestically from the Earth, and draws living creatures for miles and miles,” Plourde said. “Some come to nest in its branches, some to derive nourishment from its fruit, others for the medicinal properties of its bark. In southern Nigeria, the baobab can be a gathering place, as custom has it as some still gather to get together under its branches to marry. 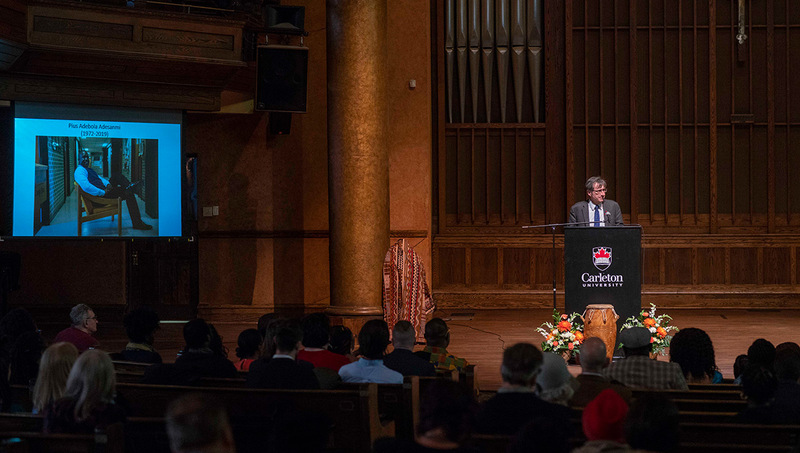 President Benoit-Antoine Bacon lauded Adesanmi as an inspiration for his students, the Carleton community and people around the world.